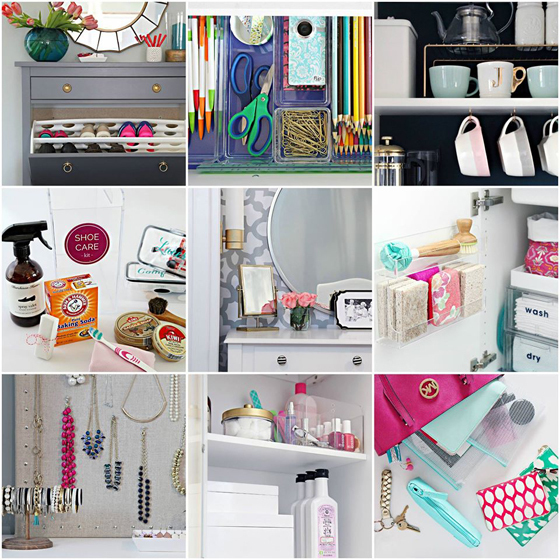 IHeart Organizing: Home Organization Projects - Best of 2015! 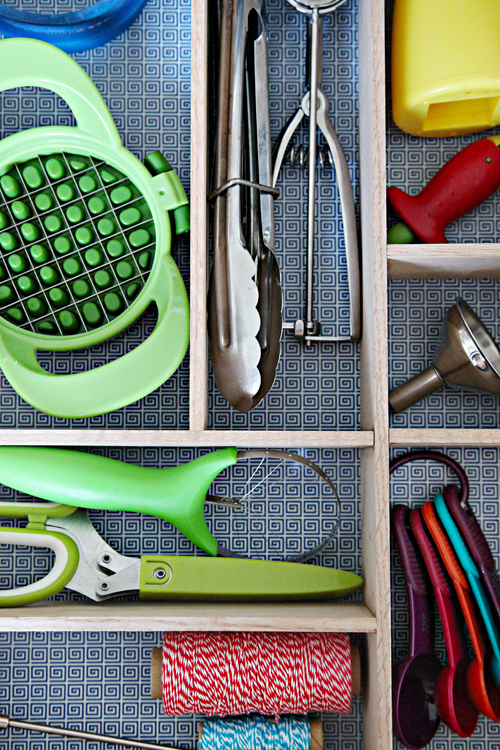 40 Home Organization Projects - Best of 2015! Happy New Year! Wow! I can't believe I am actually typing that! I hope that you all had an amazing few weeks of holiday bliss. This was the first time in a long time that I was over-the-moon excited to watch the year turn over. I know that life prior to the new year doesn't reset or erase, but I do like to use it as an excuse to make some personal changes. I am also thinking of taking a new approach to goal setting and resolution making this year, so I am feeling pretty invigorated about 2016. As far as our home goes, which is why most of you stop by here, the only changes we have made in the past few weeks are putting up a tree and garland, taking down the tree and garland, and spreading our floor with balloons and confetti (which I am still finding in random places today). It was really good for us to take some time off from home projects during the end of the year, and I always encourage others to do the same. But now it is time to bring on 2016 and let a plethora of new projects begin! So let's chat about organizing, another reason why I suspect a few of you are here. What is it about the new year that inspires us to clean out closets and declutter? A fresh new year, a fresh new home? I am in! After I took down our Christmas decor, I also found myself de-cluttering our coat closet and cleaning out our fridge. It was contagious and I was feeling motivated to clean out quick little areas on a whim. I hope that energy stays with me all year! 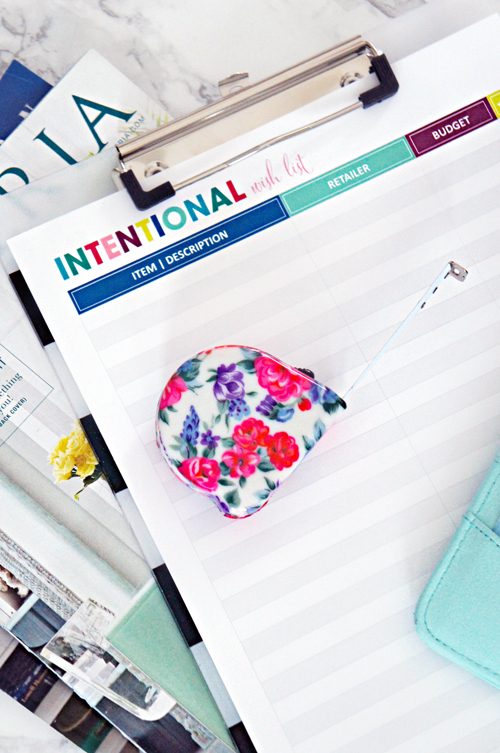 Today I am sharing my organizing projects from last year, which allows me to celebrate our work, and share a few ideas if you are looking to start out your new year with organization in mind as well. 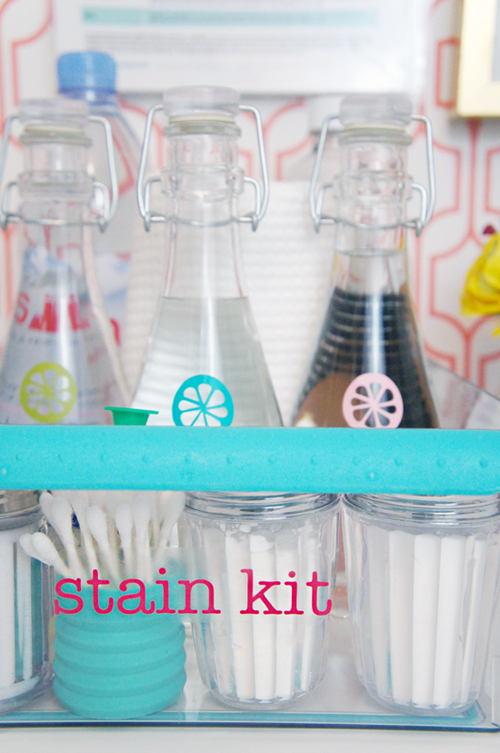 I actually wondered if I was crazy putting together a cute stain removal kit, but I will admit, it saved me on multiple occasions last year. It was definitely worth my time. 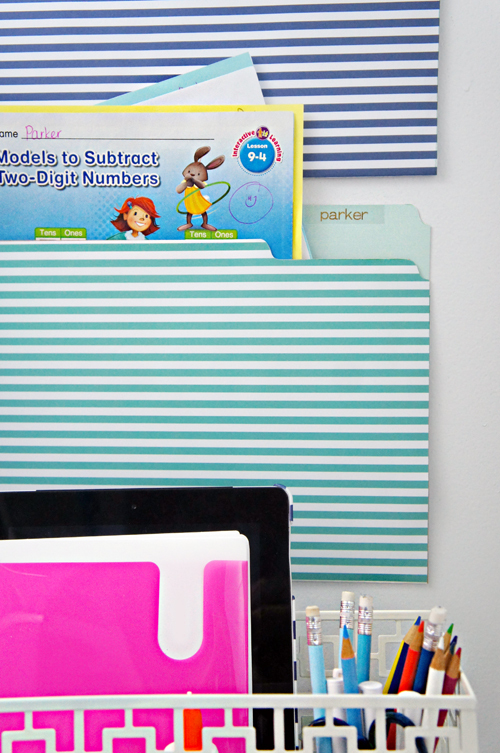 I adore these easy peasy wall pockets on a budget! Last year I revamped our bill filing system and the new box worked hard for us month after month. 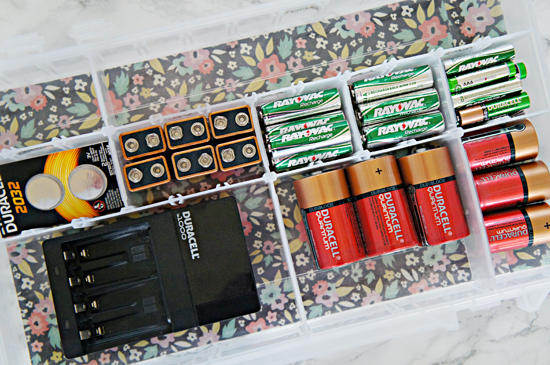 It is a little alarming how frequently we reach for batteries, and this organized battery keeper is another kit that we continue to celebrate! It is the perfect time of the year to think about your home goals for 2016, and to stay on track with intentional projects and purchases. 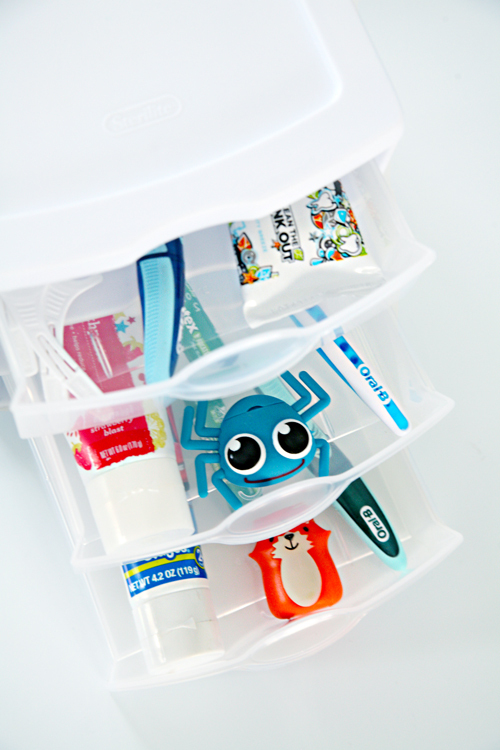 No more unnecessary germ sharing in this house, each kid received their own oral care drawer! 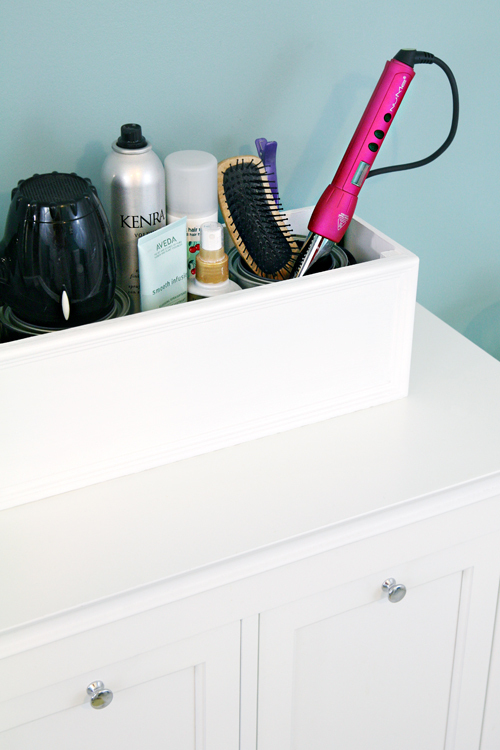 Although we gifted the hair tool organizer to a friend, I still have it on my list to make something similar for myself. It was such a fun, easy and versatile project! 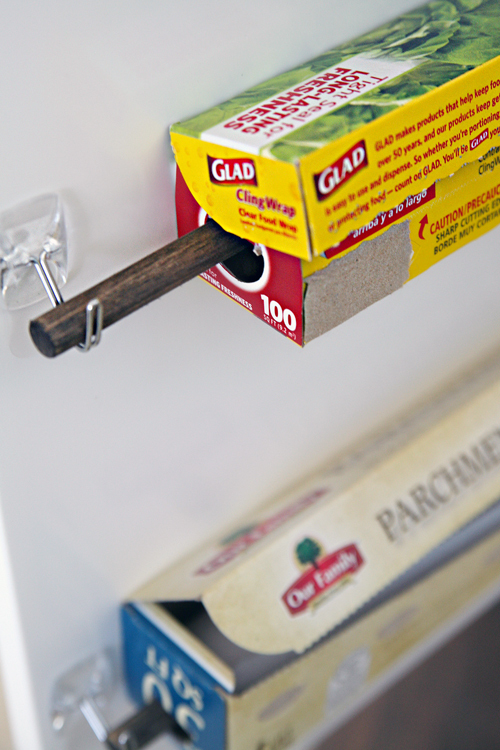 This is one project didn't stick around in the end, but not because it didn't work, just because we ended up designating a drawer for our food packaging boxes. It was still good and fun while it lasted! We may have re-done this closet numerous times, but I am happy to report that after a quick de-cluttering of the floor (which can be a stuff/drop zone at times), today it looks just like it does above. 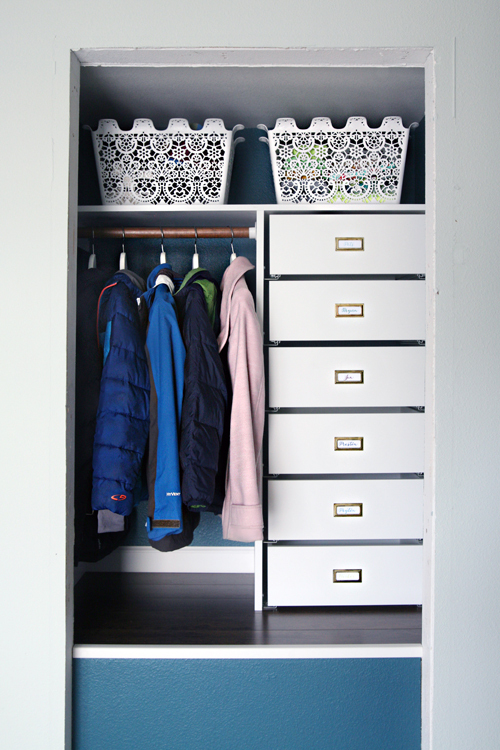 We LOVE how this small closet now functions for our family of five. I receive a lot of questions about the materials I use to line drawers, so I spilled my tips for creating lovely liner that will also last over time. 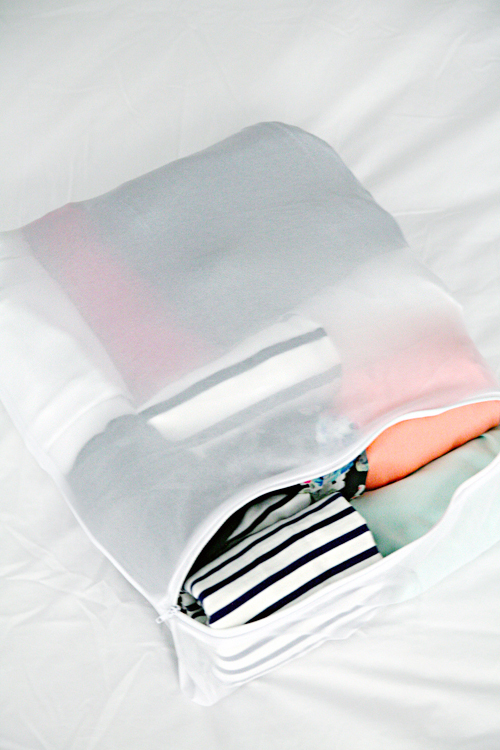 I took a few fun trips last year and shared my favorite packing tips and tricks. I find myself pulling up the post every time I have travel plans in my future. I am a believer that the entire family needs to pitch in around the house, but sometimes I need to do my own quick clean sweeps for sanity purposes. 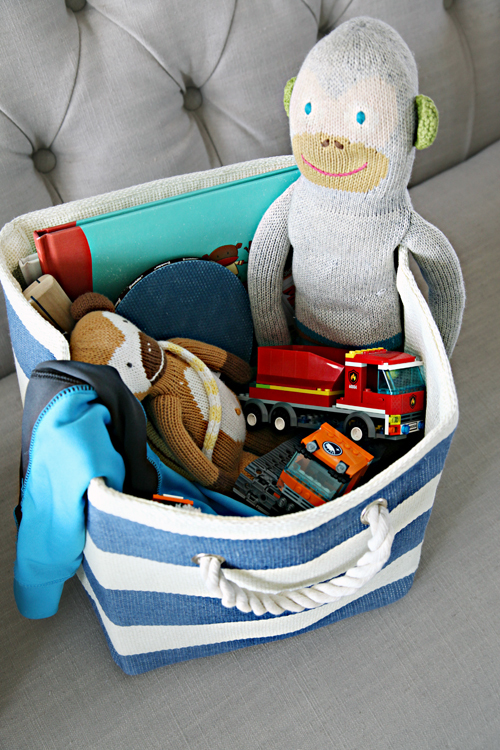 These kid-friendly pick-up bins are my way of holding the boys accountable for their belongings at the end of each day. Working from home is definitely a blessing, but it can also pose challenges at the same time. 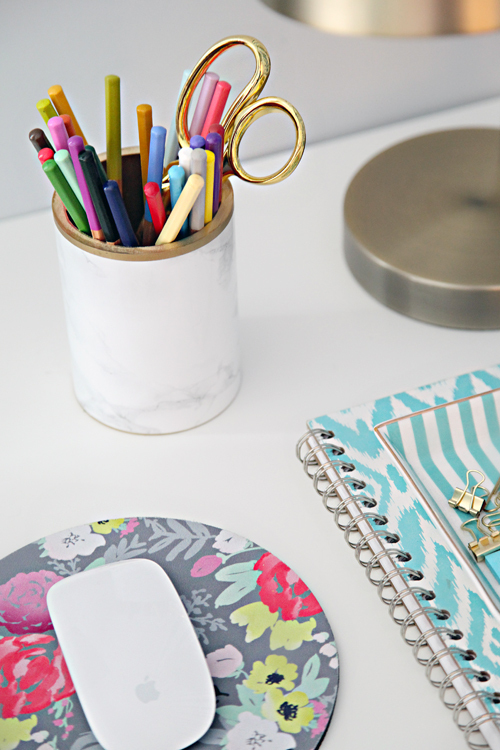 HomeGoods asked me to use only their products to put together a home office to heart, and I shared all of my tips for making it one that will make you feel organized and productive day after day. 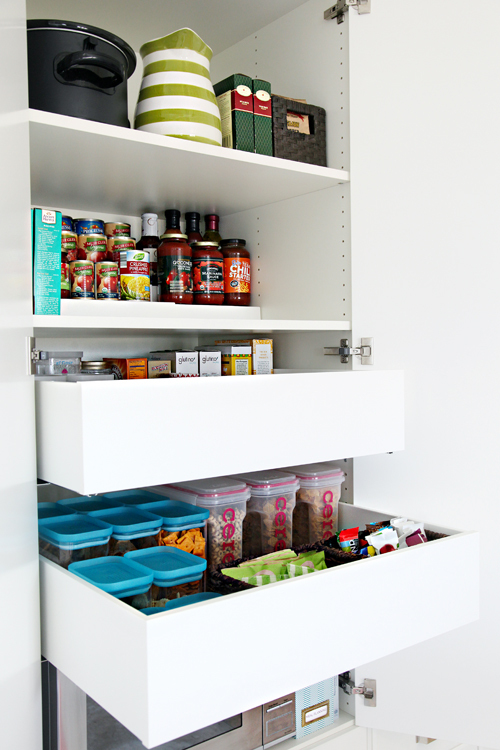 Another huge hurrah for us has been this organized pantry cabinet! 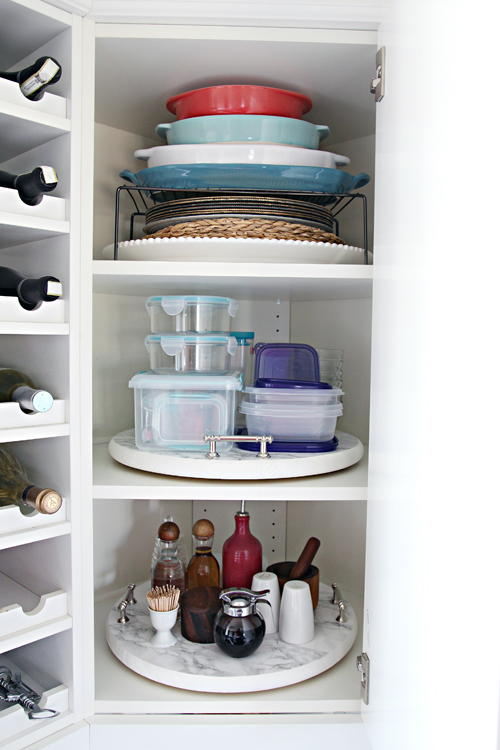 It functions so much better than our previous pantry closet, and it receives a lot of use on a daily basis. 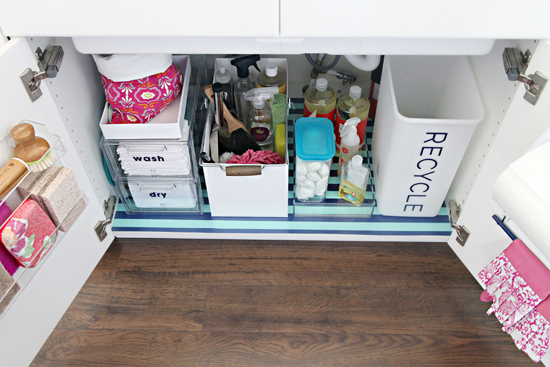 Pull out drawers, labels, bins and tiered storage, oh my! Still one of my favorite accessories on my desk, this quick little band board has been a wonderful way to organize and hold important office docs. Looking to paint IKEA furniture? It really can take everyday stock-store storage to a whole new level, so I shared my tips for ensuring a durable, long lasting paint finish. 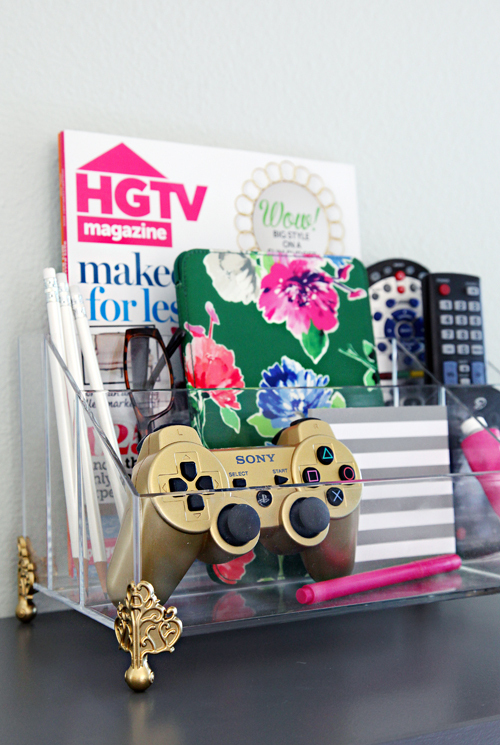 Now that we have a caddy for remotes, we always know right where to find them (and where to put them back!). Our "everything" drawer is used more than any other drawer in our kitchen. It is always necessary to do quick clean-outs, but the organizers really help keep it from getting too unruly. 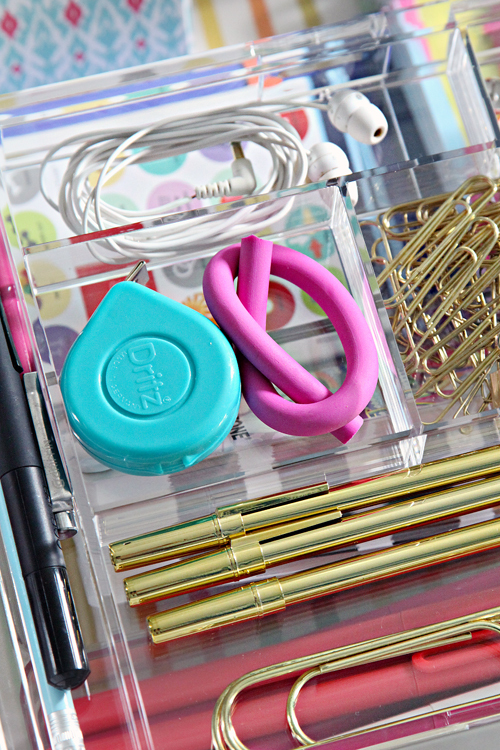 What do you keep in your catch-all drawer? Some of my favorite storage is the storage we have made ourselves. For example, everyday cardboard boxes make fabulous snag-free sweater storage in my closet. 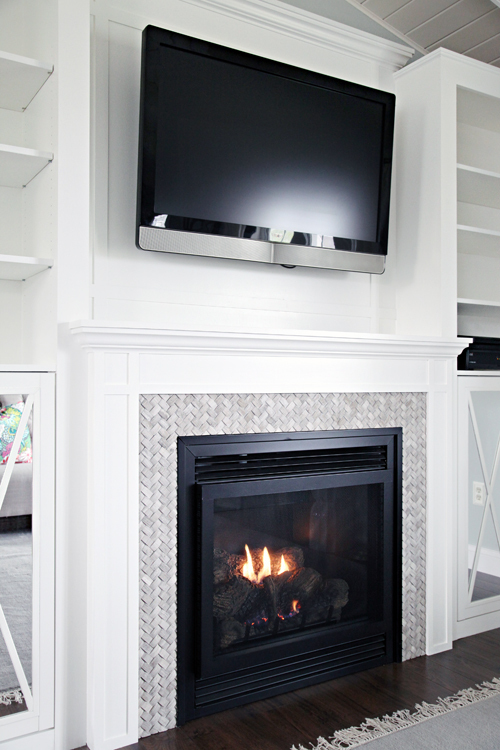 And one of our biggest storage builds to date - our DIY Fireplace Built-ins! We still can't believe that we actually built those ourselves. Another kit to love! Although I reach for this one less frequently than some of the others, it still appreciate it when I do. 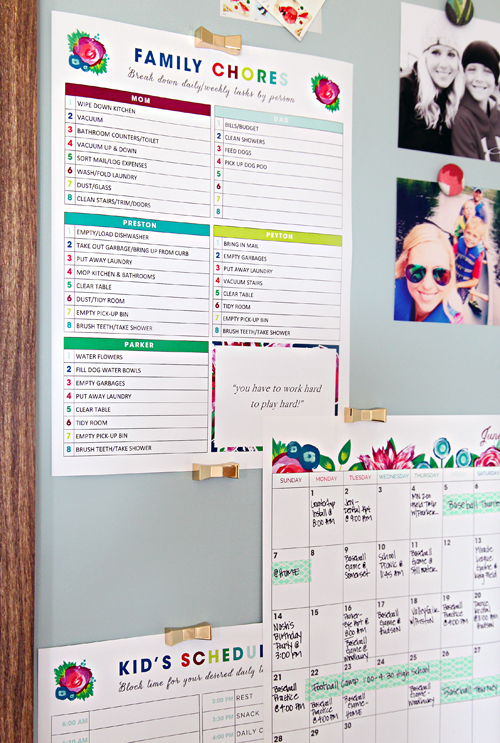 The third time was a charm with this little magnetic memo board that could! 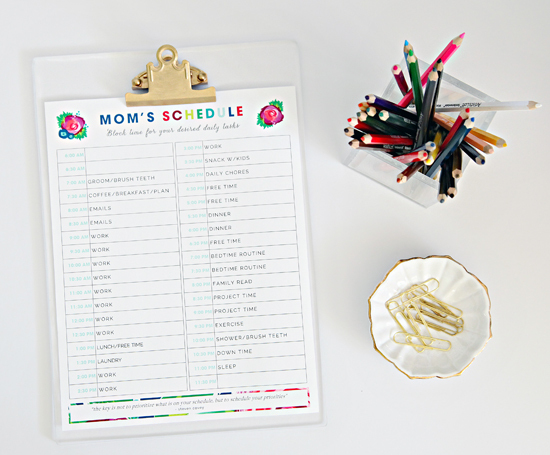 Running a house for five and an in-home business can create a pretty crazy schedule, and sometimes we need a little assistance in the time management department. To get us back on track when we fall off of the wagon, I created some printables to help us sort things out. Kits in the house, kits in the car! I shared a few ways we stay prepared on the road. Why are cars such clutter collectors? I feel like we are always cleaning out our vehicles. 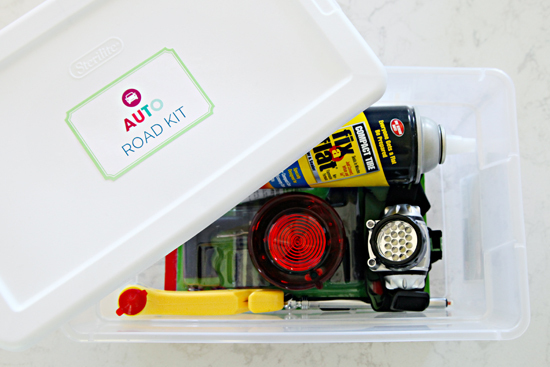 I shared tips for not only organizing our autos, but also bringing them back to that new car feeling as well. 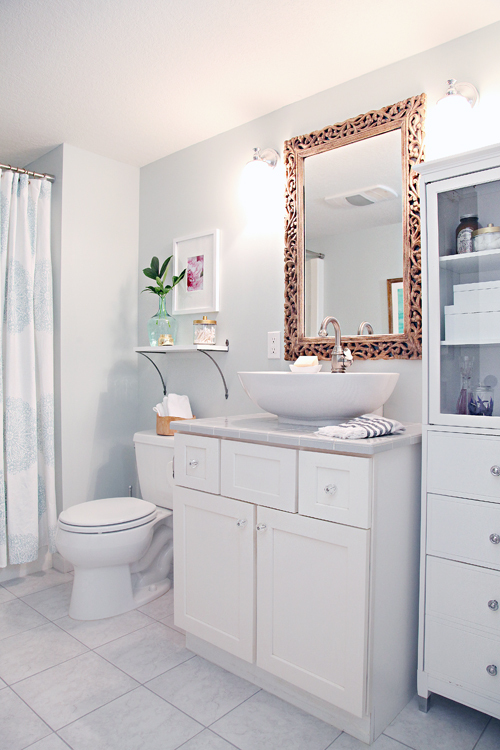 I cleaned out and re-organized our entire master bathroom down to every last drawer, shelf and cabinet. It has really made for happier mornings and my efforts have been long lasting! Another space that received a lot of de-cluttering, as well as clean-outs of multiple drawers and cabinets, is our master bedroom closet. 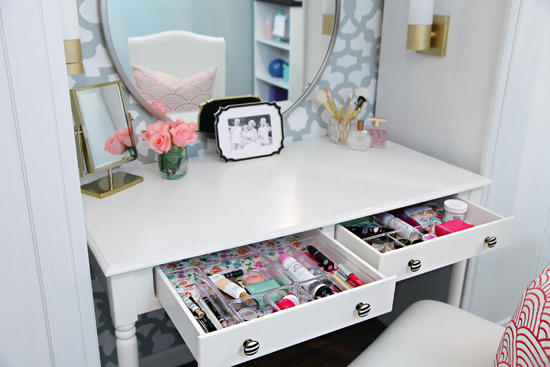 In this space, I organized drawers with foam core dividers, cleaned out my vanity area and jewelry display and purged over 100 items from my wardrobe. This is another project that I am still benefiting from every day. Did you know that makeup brushes require regular cleaning? 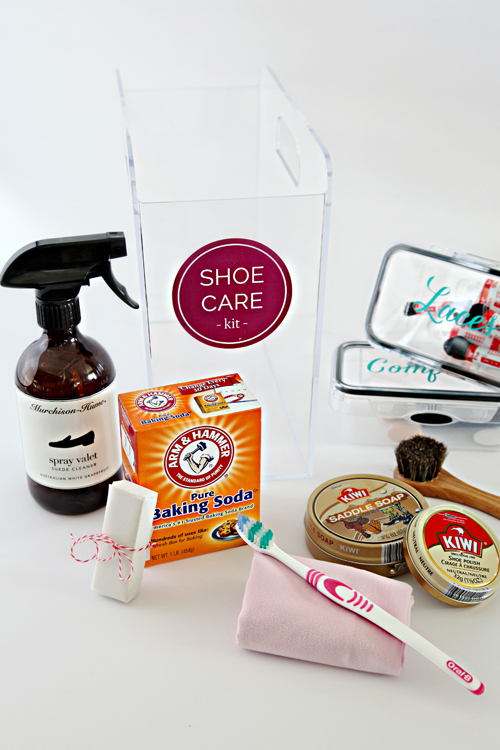 I shared some tips for cleaning beauty supplies and easy solutions for keeping makeup organized. 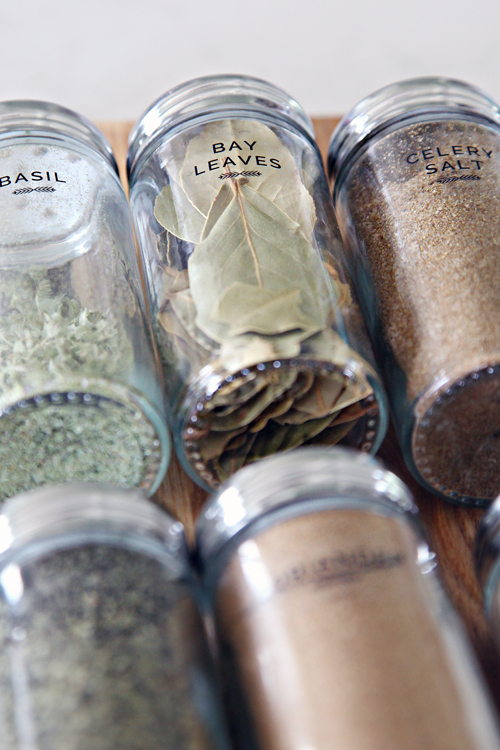 I am always excited to try new techniques for organizing and labeling, and these spice jar decal labels were something different that I fell in love with. They create such a seamless and decorative look, now nothing in our home is safe from receiving the decal treatment! 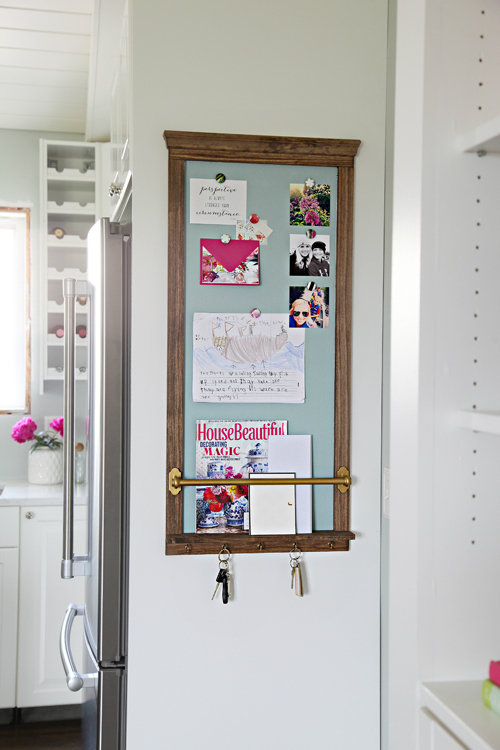 Who says that the cabinet under the kitchen sink has to be cluttered and boring? I added storage to both doors, lined the cabinet floor with protected gift wrap and added labels for the family. This cabinet receives a lot of daily traffic, but seems to do a great job of maintaining itself. I am trying to be more thoughtful about my daily attire, and also trying to give in to technology and how it can keep me better organized. 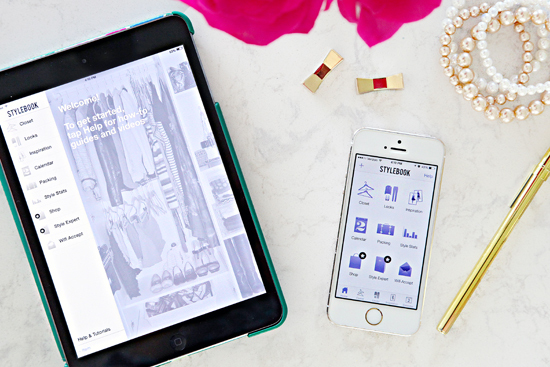 I shared my experience using the Stylebook app, and how it allows me to have a digital visual of my wardrobe each day (and feel very Clueless-esque!). Because I have such a love for acrylic organizers, I thought I would try my hand at making my own! The good news is that it wasn't as scary, expensive or hard as one would think. I now have two beautiful clipboards and a pencil cup hanging out in my office. 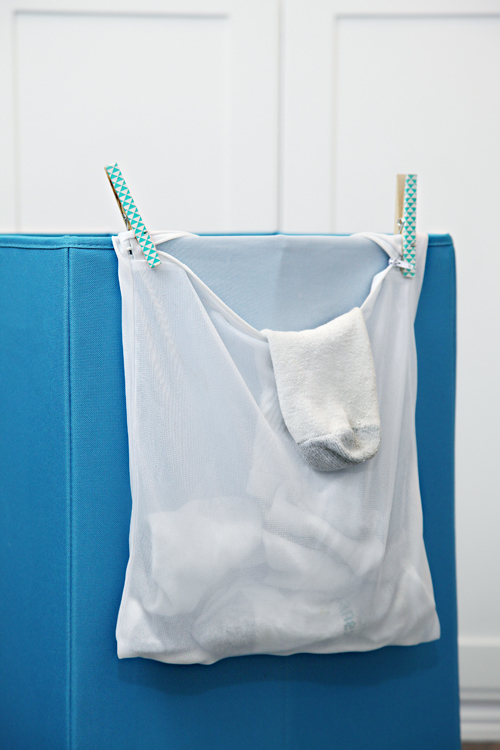 Sorting socks is far less exciting and glamorous, but this little trick makes the daily laundry chore a bit easier! It may surprise you the same way it surprised me, but PVC can be functional and pretty (with a little creativity of course). Organized drawers can really impact my mood each day. The second I can't find something in a drawer, I get flustered and frustrated. 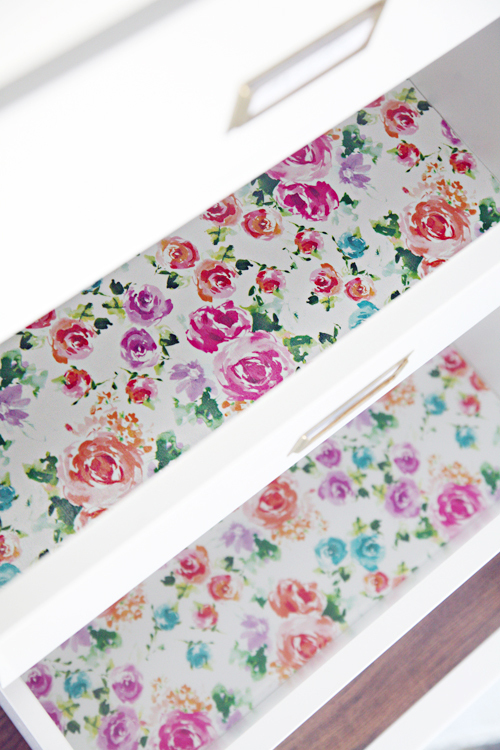 But when I open a drawer and see just what I need, and maybe even a pretty patterned drawer liner, I start to whistle. I spent a week organizing four drawers in our home (and even DIY'ing some awesome dividers) and they are still working hard for me today. One of my favorite projects came out of a collaboration with a friend to help her daughter move into her dorm room. 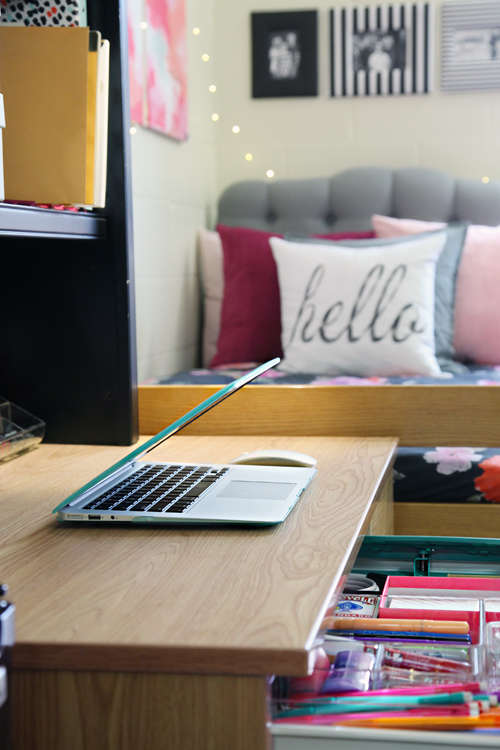 This was a whole new type of space for me to work on, and I shared all of the solutions we came up to help her feel at home while also staying organized during her first year away at college. Working on the dorm room inspired me to head home and make some updates to our oldest boy's bedroom as well. 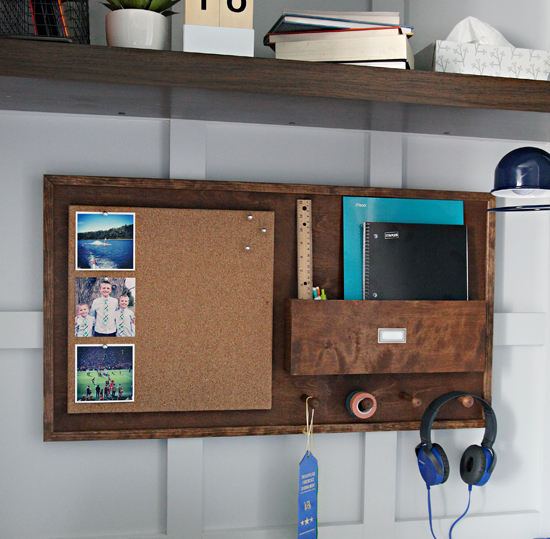 I started with his workspace by DIY'ing a cool wall organizer. And then I helped him tackle his armoire closet with the help of some purging, paint and DIY drawer organizers. I just love this darling little laundry rolling cart, which is not just cute, it also aids in keeping our folding counter free for... folding! We have been organizing our kitchen cabinets one-by-one and this corner cabinet was made more functional with the help of some awesome DIY turntables! But I have to say, my coffee cabinet brings a smile to my face every. single. day. 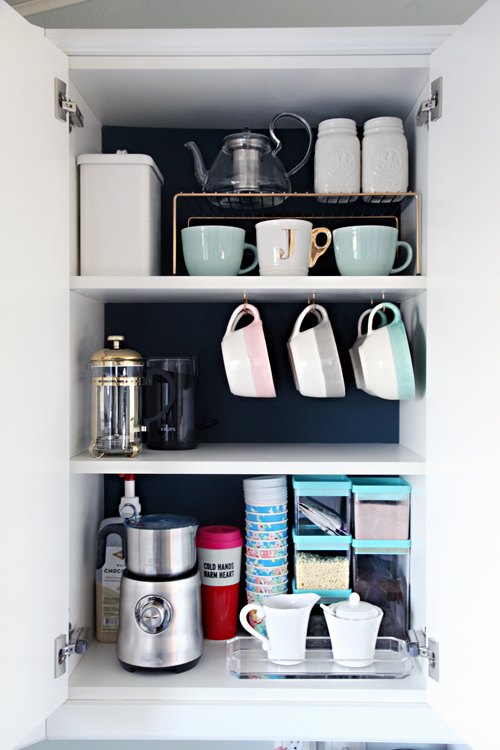 I love coffee (and soup and cocoa) and I really love this cabinet! 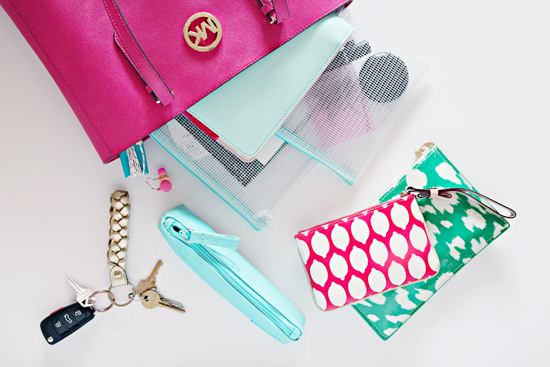 I have always used pouches to stay organized around our home, and especially within my totes and handbags. 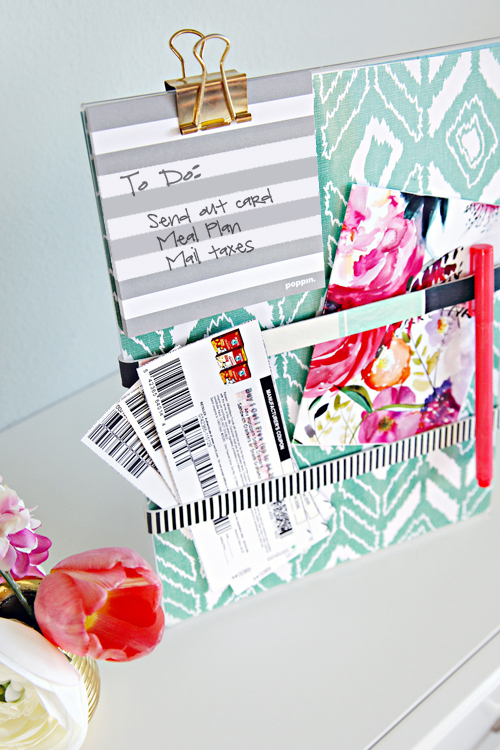 How about 20 different ways that pouches create awesome daily organization!? You got it! 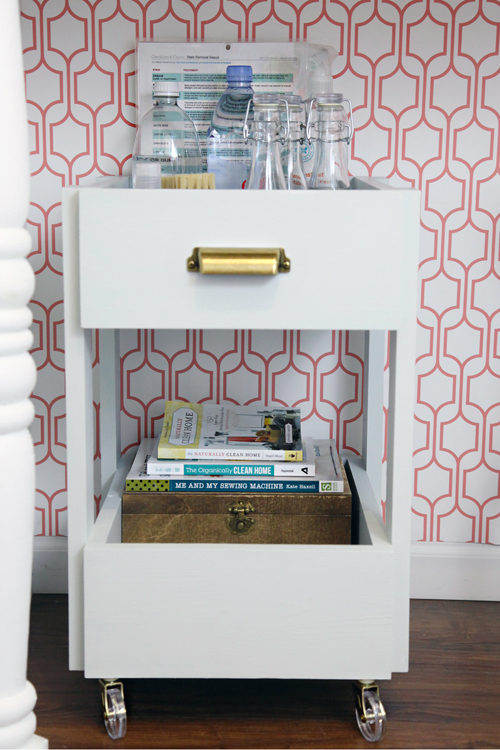 And last but certainly not least, looking for some versatile and slim storage that you can DIY on the cheap? 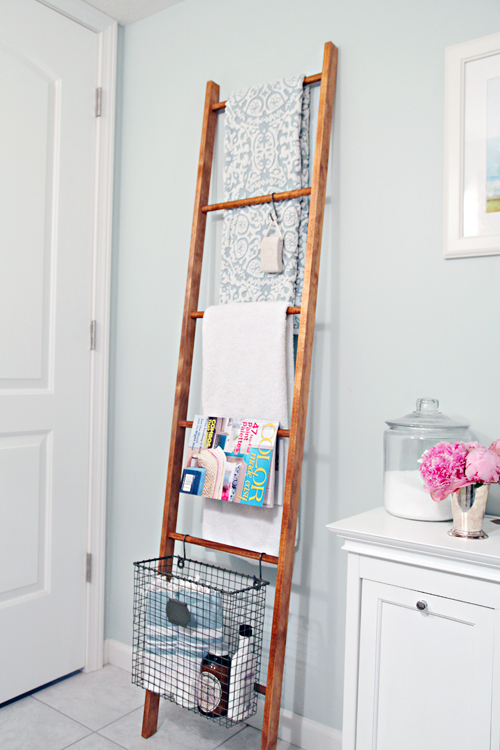 How about a darling wooden ladder? Wow! And those are just our organizing projects! We also gutted our kitchen and living room, installed cabinets, planked our ceiling, installed floors, updated all of our trim and some doors, installed new lighting... and built a few pieces of furniture. No wonder we were so ready for our end of the year break! A few months ago, exhaustion started to kick in and so did a creativity freeze. I know it may be hard to understand as a reader, but I really and sincerely appreciate all who have continued to hang in there with me as I try to regain my energy, excitement and thrill for creating and sharing new content and projects. I love what I do, always have and always will. But sometimes when you combine private personal and family scenarios with living a public life and trying to create fresh ideas on a daily or weekly basis, it can pull at you from multiple directions. I am a big idea type of girl, but I am teaching myself that slowing down is only going to help me achieve bigger and better things down the road. From the bottom of my heart, your support this year (and always) has meant more to me than words can express. Thanks again everyone and I hope that your new year is off to one heck of a start! Let's all raise our glasses to 2016 and vow to make it our best year yet! I would love to hear in the comments below what some of your favorite organizing projects were in 2015. Did you tackle anything that still brings a cheek-to-cheek grin to your face each day? 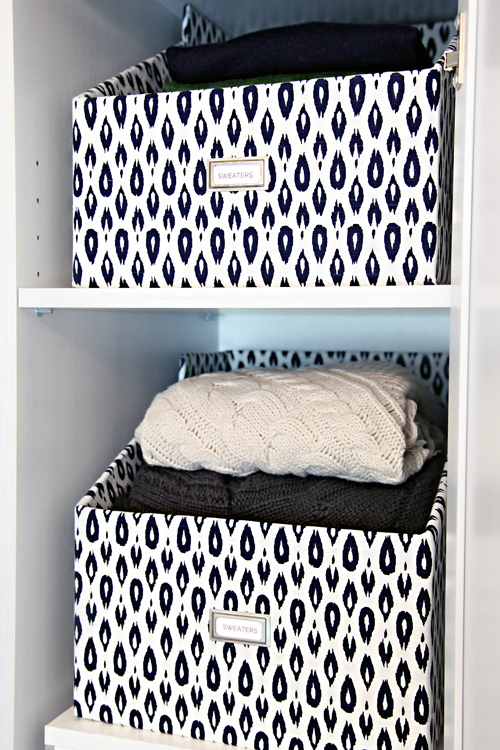 Last year I shared my tips for taking on your home organization goals in the new year, which I really enjoyed re-reading this morning. 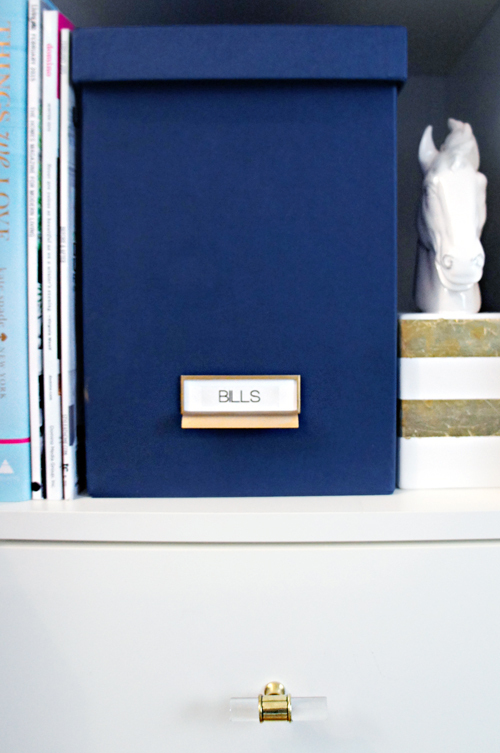 Also, if you are hoping to get organized this year but you're not sure where to begin, you can find tips for getting started here. Happy New Year!! It's time for an awesome 2016! Thank you Christene! I had a lot of fun looking back at the year and putting together this post. And I appreciate your sweetness. ;) Happy new year to you! Jen, Can you just fly out to San Diego and organize my house with me? I mean, I'm already writing down every single one of your genius and amazing ideas anyway ;) I look forward to every single one of your posts. Hope you and your family had an amazing new year. I can't wait to see what 2016 brings to your nest! Sure, it's always warm there right? ;) Thanks for your support and happy new year! Happy new years to you and yours as well Jen! Love the recap post...I had forgotten about a few of those gems that I wanted to create for myself...those little kits! My personal faves last year were definitely anything that had to do with cabinets and drawers. Those seem to be my hot-button issues here at home and I loved following along during your week of drawers. My everything drawer still makes me smile whenever I open it so thanks for the great ideas for what to put there. Love hearing all of this, thanks Peggy! And a high five to you for your organizing successes as well! Obsessed with the food wrap idea & the battery organization! 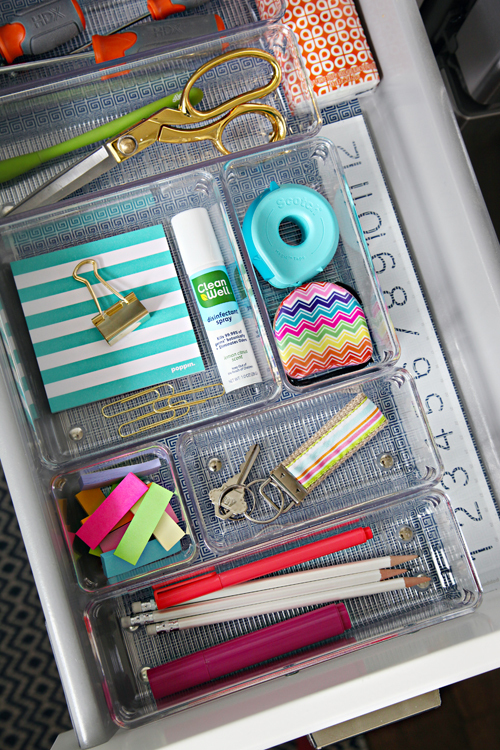 Love all the organizational tips! I'm exhausted just reading about all your organizing projects! I'm bookmarking this post for sure. Jen, thanks for staying real and not going corporate like so many other blogs. Your blog has always been my favorite and I still love everything you do. And I love my super awesome readers! <3 Happy 2016 Barbara! Jen! You always inspire me day and day out to make my home prettier and more functional...but boy, seeing this roundup of projects took my breath away. The detail, the beauty, the functionality - all are amazing! You've shared that it's been a long, hard and exhausting year...and I can certainly see why. But I had to say congratulations on so many wonderful projects and posts! So much to be proud of there, my friend! Happy New Year to you and your boys! Thank you Megan! Your projects always take my breath away also! We are kindred organizing pals. :) Happy new year to you as well my friend! Everything you do is so beautiful in your home! Ahh so much goodness in one post!! Literally obsessed with all of these! So inspiring! Hey, random question....what font did you use for the clear gold labels on the wall pockets. I have the sane label maker but cant figure out which font that is. Thanks! Hi Julie! I used the "Gothic" font on the folder labels. xoxo! Your post on using pouches really inspired me! A few weeks ago I bought several for my purse and diaper bag, and they have never been more organized! Its so nice knowing exactly where everything is and not having to dig on the bottom for little things. 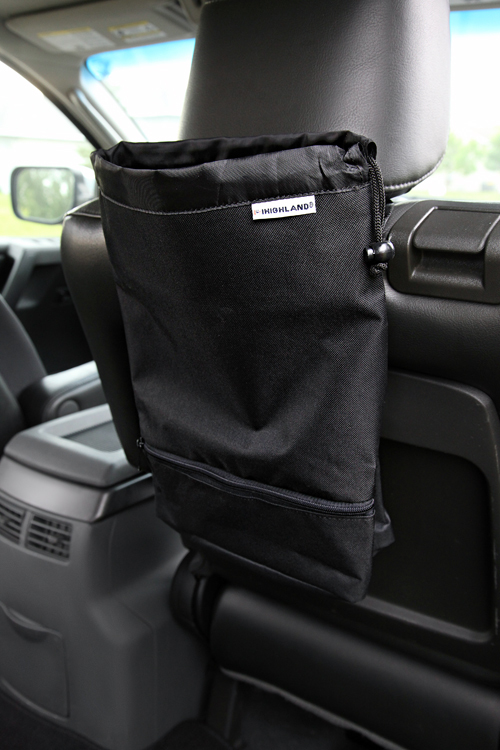 And so convenient to be able to just grab a pouch and transfer it to another bag! I LOVE hearing this Nikki! That's awesome and I am so happy you were able to take something away from that post. I loved putting that one together! Seriously, I don't know how you do it Jen! Looking at all that you have accomplished over the year is truly incredible. 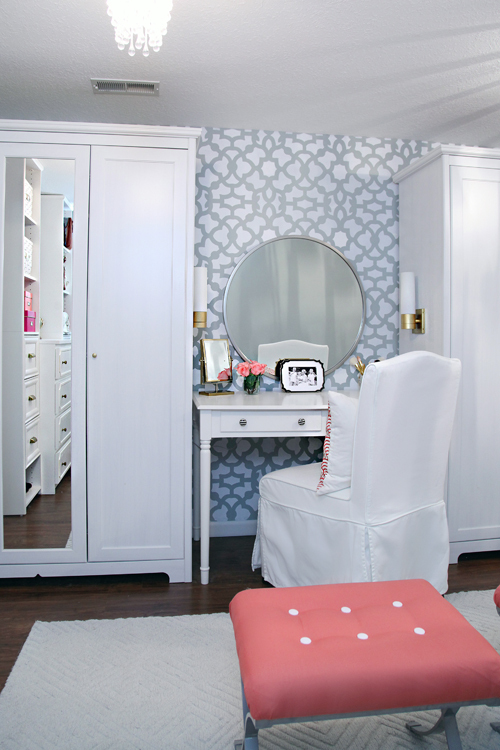 I think that my favorite project you did in 2015 is the HomeGoods room. Not only was the space stunning, but it was such an incredible opportunity for you. You always do such a fantastic job with your projects, that it makes me want to paint, organize, and decorate all the time! Thanks for sharing and happy new year! Awe, thank you Jessica! I really, really enjoyed that opportunity! It was so fun to put together a space outside of our home. Happy new year to you! 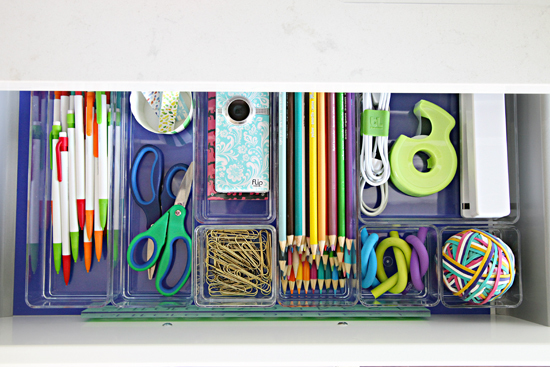 Wow, this, Megan, is what I call the ultimate organizing treasure trove! Now that I've finally finished furnishing my apartment, I'm ready to begin the decorating AND organizing, and your blog is the most helpful resource I can think of. I've probably pinned 90% of these posts for future reference, and I simply can't wait to get my stuff under control in 2016. Thank you SO much for being such a huge source of inspiration! And Happy New Year to you and your family! Cheers to an organized 2016 Heidi! Happy New Year, Jen! Thanks for the great roundup! I have so many things to work on to get our house organized this year! You can do it! ♥ I am cheering you on from here! Wow!! Jen, this is amazing!!! You guys accomplished so many beautiful projects. They are functional, eyecatching and very inspiring. I can keep looking at these awesome projects all day. I agree! This is the ultimate organization treasure trove! I love all of these ideas, such a great year you had! I like that, "organization treasure trove!" :) Thank you! All beautiful projects, Jen! 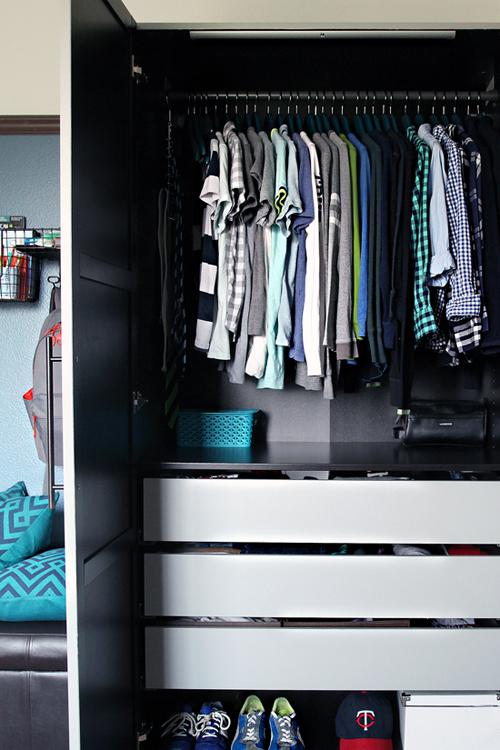 I still adore the boys' armoire and "hall" closet! Your photography is always impeccable! Lovely! You have such a gift for creative and beautiful solutions, and your writing voice is always so positive and vibrant. :) Happy New Year!